I had a wonderful time during the Valentines Discovery event on Facebook and would like to thank all the great readers I met. I look forward to holding my own giveaways and events in the future. Maybe more fun games and questions, since they drew a positive response. 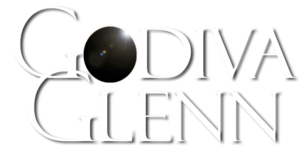 Make sure to like my Facebook author page (www.facebook.com/GodivaGlenn/) for updates there. The purpose of the blog on this site is primarily updates, but for a moment I’ll be a bit more candid. One of the most frequent questions asked of writers is why. I’d like to go ahead and answer that, and explain the upcoming changes to my short story releases in the process. I wrote a handful of short stories and shared them with a small group of readers as a test, and they were a hit. That was the quick and easy birth of the Naughty Night-Reading series. When I first began revising, I had intended to release the stories three to four at a time, in collections. Being new to publishing, I asked many questions and sought advice on my strategy. The discussions I participated in led me to releasing each short story alone as well as in a collection, something many writers do. But to be honest, I don’t like that decision. My stories are quick and wild. We all have preferences, kinks, loves, and hates. The Naughty Night-Reading series was designed to cover a variety of interests, so in bundles of three or four, I’d hope any reader would enjoy them all, even if they only obsessed over half of them. Furthermore, it’s a series. Characters will reappear, connections will reveal themselves, and relationships can develop over time. I personally love cameos, and by spreading stories out instead of making them novels, there’s less reader downtime; while you wait for more on Ava, enjoy a wicked rendezvous with her cousin Ksenia. Which is why from here on out, all of my series stories will be bundled into collections. More bang for your buck, literally, in the dirtiest sense of the term. So once again, why do I do this? I write because I love to write, and I love exploring sexuality as something that shouldn’t be shrouded in shame. I share my writing because I know I’m not alone in having naughty thoughts about my hot friends or that fine guy standing next to me in the grocery line. Want to get inside my head even more, and gain access to sneak peeks and more? Join the Naughty Newsletter. Don’t worry, it won’t clog your email. News is sent out once a month and when new releases or events are coming up. Posted in Chat, Naughty Night-Reading and tagged collection, naughty night-reading, writing.